As a person interested in what happens at the interface between politics and media and as someone who was a court reporter for more than three decades, I was troubled and puzzled by a sentence in the Cape Times front page lead by reporters Carlo Petersen and Heidi Giokos on 14 September. That sentence forms the anchor quote on this article and it was also contained in the Cape Times editorial, written presumably by the newspaper’s editor, Aneez Salie, on the same day. I have been unable to find any on-the-record proof that Judge Desai ever uttered these words and it has all the hallmarks of an attributed remark which is devoid of truth, a remark which was gratuitously inserted into the article and editorial in the hope of damaging a political party in opposition to the ANC. In the process, I believe, the judiciary has been brought into disrepute by the Cape Times. In February last year Judge Siraj Desai presided at an important test case relating to garnishee orders. The team which brought the case consisted of high profile businesswoman Wendy Appelbaum, fresh from her triumph of eviscerating Auction Alliance, and the Stellenbosch Legal Aid clinic. They were representing the interests of 15 people, mostly employed on farms or working as cleaners at the university or in the town. All had been rendered almost indigent by swingeing garnishee orders. Leading the team as pro bono lawyer was Odette Geldenhuys of Webber Wentzel who last month was named the 2016 Pro Bono Lawyer of the Year by the International Bar Association (IBA) – a first for the African continent. “The Western Cape High Court has found these garnishee orders to be unlawful and invalid. According to reports as much as 80% of some of the applicant’s salaries were being docked in the attachment orders. We condemn this exploitation of farm workers. Irresponsible lenders who take advantage of residents need to be brought to book. Loan sharks charge exorbitant interest rates that often chain residents to a lifetime of loan repayments. “Especially in these tough economic times, debt becomes more and more expensive and I want to encourage residents to avoid the debt trap. Aneez Salie, as editor of the Cape Times, would automatically be on the mailing list for such media statements, so he cannot have been unaware of it, not least because this press statement was carried in media outlets like the Sunday Times and Eyewitness News. At the same time, Desai’s judgement was also praised, on the record, by Michael Bagraim MP, the Democratic Alliance Shadow Deputy Minister of Labour and a labour law specialist. He called the ruling “A victory for the blue-collar worker” and this remark was also quoted in the media. The respondents challenged Desai’s ruling in the Constitutional Court and, last month, they lost. The DA is represented by Mmusi Maimane and had he ridiculed Judge Desai – as the above-mentioned remark seems to suggest – surely it would have been picked up by politicians, reporters and the Twitterati? I contacted DA MPs and they were as bewildered by the newspaper’s claim about the party disrespecting Judge Desai as I was. Far from the DA deriding Judge Desai, all I can find in a Google search is examples of the party praising him in the context of his garnishee order ruling. Sometime left-wing student activist, editor and publisher Glenn Moss, no historical friend of the DA or its antecedents, emailed editor Aneez Salie and reporter Carlo Petersen asking for clarity on this puzzling matter. Salie, did not acknowledge the query, but Carlo Petersen did. Like millions of other South Africans, I was riveted by those televised interviews but I did not recall anything like that. Moss and I independently decided to listen to the interview again – all one hour 19 minutes of it – and neither of us could find any evidence whatsoever to corroborate Carlo Petersen’s explanation. In fact, Google’s algorithms provide no verification of this allegation and the only “evidence” that exists, exists purely within the pages of an increasingly discredited newspaper which has been forced again and again under Aneez Salie’s editorship to apologise for contravening the Press Code. Before these examples, the Cape Times also had to apologise for an “exposé” about how the illegal tot system on Western Cape wine farms had badly affected an alcoholic farm worker, “Rose” and her child “Baby Thomas” who had been crippled, so it was alleged, mentally and physically, by foetal alcohol syndrome. It took just a few phone calls and emails to prove that neither exist. On 24 July last year an article authored by Carlo Petersen was published in the Cape Times which quoted a Cape Town lawyer, Peter Williams, as saying that the Vice-Chancellor of UCT, Dr Max Price, had acted in bad faith. Jameson Hall, University of Cape Town. An act of bad faith by UCT vice-chancellor Max Price resulted in a criminal case against a Rhodes Must Fall (RMF) activist being withdrawn, the activist’s attorney said. Three days later the newspaper published two letters, one of which, from lawyer Williams, made it clear that the remarks attributed to him by Carlo Petersen were devoid of truth. The second letter, from UCT media liaison, Patricia Lucas, made it clear that she had fully briefed Petersen on the background to this case, in advance of the hearing. A FRONT-PAGE Cape Times article stated on July 24 that I had said that “an act of bad faith by UCT vice chancellor Dr Max Price resulted in a criminal case against a Rhodes Must Fall activist being withdrawn”. The article states further that I said that “by making the third condition, Price was in fact acting in bad faith”. I wish to state categorically that I had never said that Dr Max Price acted in bad faith. Neither did I say that an act of bad faith by Dr Price resulted in charges against my client being withdrawn. Charges against my client were withdrawn as a result of a voluntary mediation process and after I made written representations to the Senior Public Prosecutor to have the charges withdrawn, after I identiﬁed certain weaknesses in the State’s case. In court, I mentioned to the magistrate that “It seems that the strong message that this court had relayed to UCT had its desired effect”. Magistrate Wezile Rexana responded that he was glad to hear that the court’s pleas had not fallen on deaf ears. During a previous court appearance, the court expressed displeasure at UCT and stated that the parties should negotiate in good faith. At no point did l state that the UCT vice chancellor acted in bad faith. 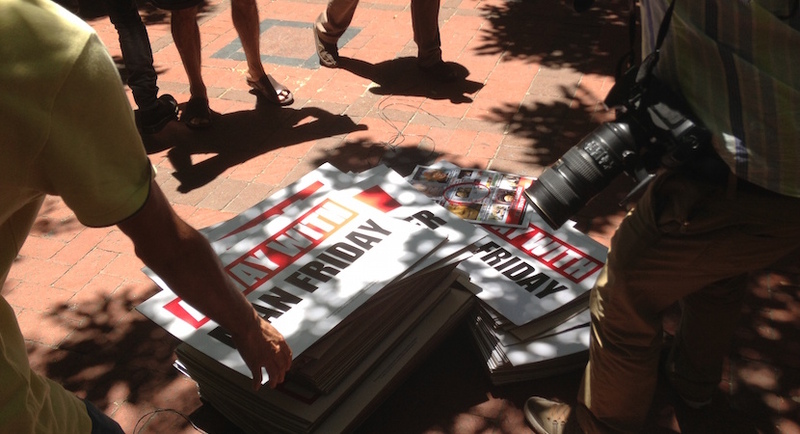 Criminal charges were dropped against Sulyman Stellenboom because the University of Cape Town agreed to accept his written apology for stealing a building sign from UCT and his undertaking that he would not repeat this criminal action. The report in Cape Times (“RMF activist’s charges dropped”, 24 July 2015 makes it appear that the wrongdoing was on the university’s side, even though the newspaper received a copy of the informal mediation agreement that was signed by Mr Stellenboom and UCT. There was no “act of bad faith” on the part of Vice-Chancellor Dr Max Price. He was acting in the interests of the public institution in asking that Mr Stellenboom pay for the damage he caused to UCT property. It should be noted that Mr Stellenboom admitted to the crime and the university was under no obligation to drop the charges against him. 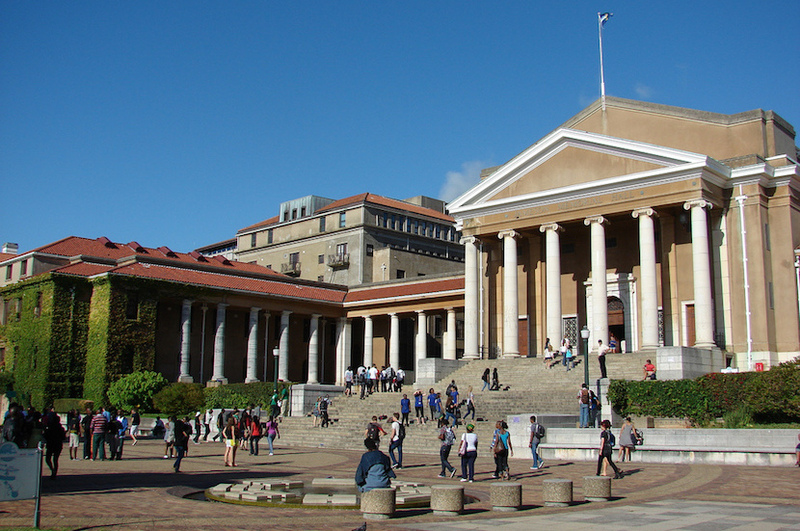 The Media Liaison Department at UCT took the trouble, prior to the court hearing on 23 July last year, to make available to Carlo Petersen the terms of the settlement reached between Sulyman Stellenboom and the University. This left no leeway for ignorance or confusion by Carlos Petersen. The statement by Peter Williams, counsel for Mr Stellenboom, leaves no doubt about the fact that the way in which Carlo Petersen put words into his mouth was deliberate. Williams never uttered the words falsely attributed to him by Carlo Petersen. If there was any doubt in the mind of Carlo Petersen about what Peter Williams had said, there was nothing to stop him approaching Mr Williams at the rising of the court or contacting him by telephone, SMS or email thereafter. There was, furthermore, nothing preventing Carlo Petersen from also seeking clarification from Dr Price. The lie about Dr Price ‘acting in bad faith’ remains on the IOL website so as to do as much harm to Price and UCT as possible. The headline “Price to beef up UCT security” (September 26, 2016) is incorrect. The article completely misrepresents Vice-Chancellor Dr Max Price’s letter to the campus community about the need to shut down the University of Cape Town this week. The Cape Times regrets the error which occurred during the editing process – Editor. 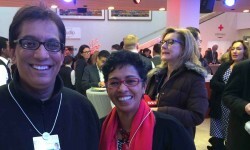 Outgoing Sekunjalo chairman Iqbal Surve and wife Nadia, at the World Economic Forum in Davos. “All our stories must adhere to the highest standards required. 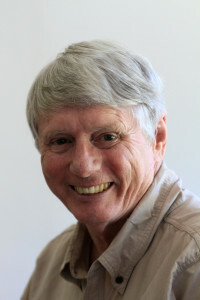 Despite Carlo Petersen’s articles being in constant conflict with his employer’s stated edict, he has never faced any sanction and was recently rewarded by being promoted to the position of deputy editor of the Cape Times. 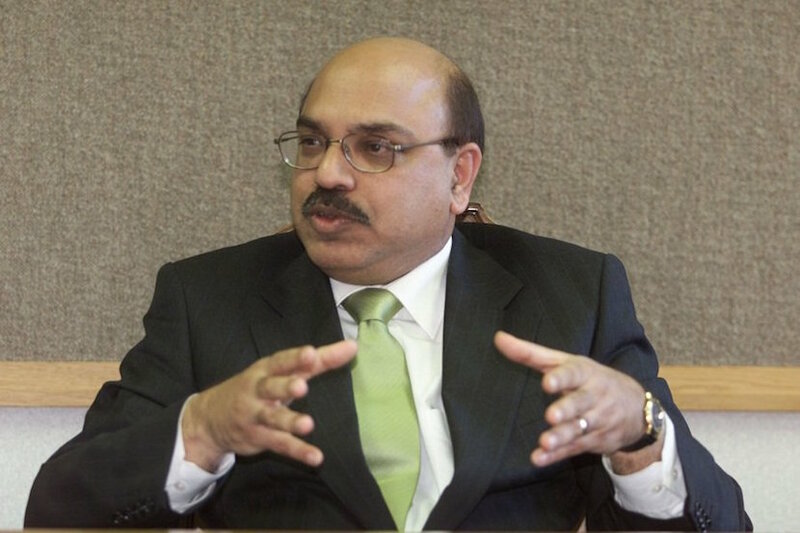 No proof can be found that Judge Siraj Desai made the remarks about the Democratic Alliance which are attributed to him not once but twice in separate sections of the Cape Times on 14 September. Documentary proof exists to show that two senior office bearers of the Democratic Alliance, Michael Bagraim and Alan Winde, officially and on the record, praised the Desai judgment when it was handed down in July last year. Dr Survé is free to do with his hire-purchase possessions as he sees fit – but should a line not be drawn and a halt called when the judiciary is brought into disrepute?